The owners of this property apparently asked for a modern home that was cheap to build and suitable to rent. We found this statement rather surprising because—despite the pragmatism of the project—the resulting home is nothing short of beautiful. It is small to be sure, but it also has the distinctive serene, sophisticated feel of a high-end home. 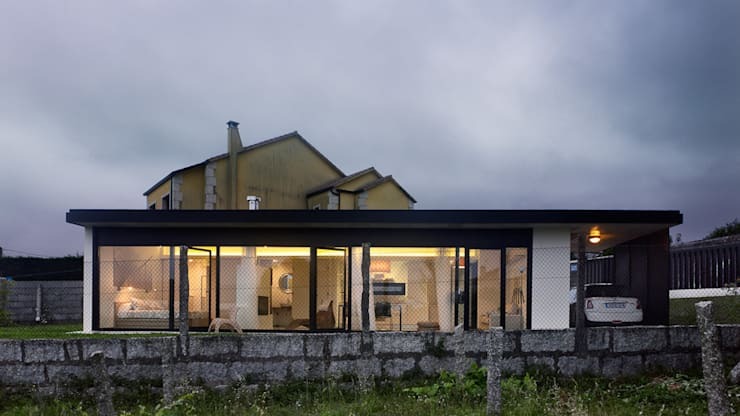 Spanish architects Nana Arquitectos achieved this aesthetic by opting for simplicity and creating a very open, continuous flow between the various living spaces. Of course, the occupants also required some privacy so they built up the facade and installed a single panel window. This gives an element of surprise to the home. Let's take a look at it in pictures! 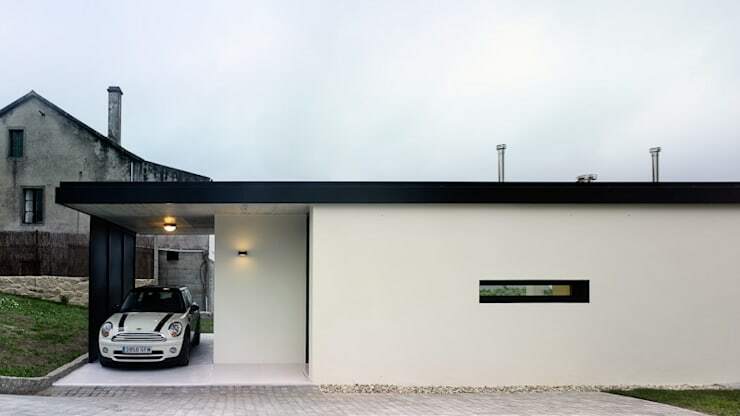 The home has a white, minimalist facade with a single panel window. It is both austere and fits perfectly into the modern style. Like many modern homes, it's perfectly environmentally friendly and has an energy rating of A. The property is located in the Spanish province of Galicia and receives high temperatures in summer. Accordingly, the home is set on a single concrete slab that keeps the home cool. In great contrast, the rear of the home is entirely covered in floor-to-ceiling glass walls. These have a great effect on the sense of flow between the indoor and outdoor spaces. They allow for lots of air-flow and passive heating of the home during winter. One important aesthetic consideration is that the natural surroundings then feel like an integral part of the interior spaces. This makes the home feel relatively spacious and allowed the architect to whittle down the cost of the project. The interior has a classic modern decor. It is one that reflects our times. It is austere, minimalist and totally functional. There are few elements on display, but everything has been fashioned and built with an eye to longevity and quality. 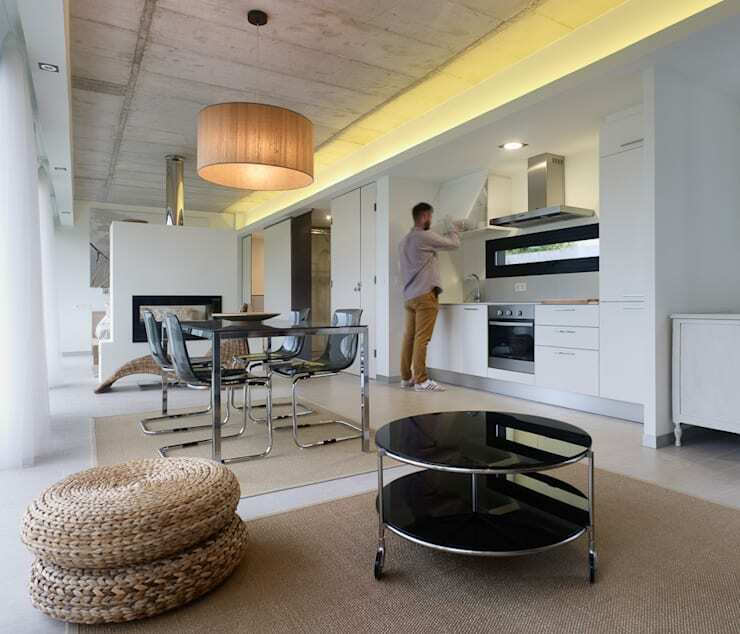 The raw concrete ceiling, prevalent use of natural fibres and neutral colour palette complete the look. There are lots of unbroken lines within the home and this enhances the sense of flow. So instead of installing a standard sized doorway to the bathroom, the architects have created a series of floor to ceiling folding doors. 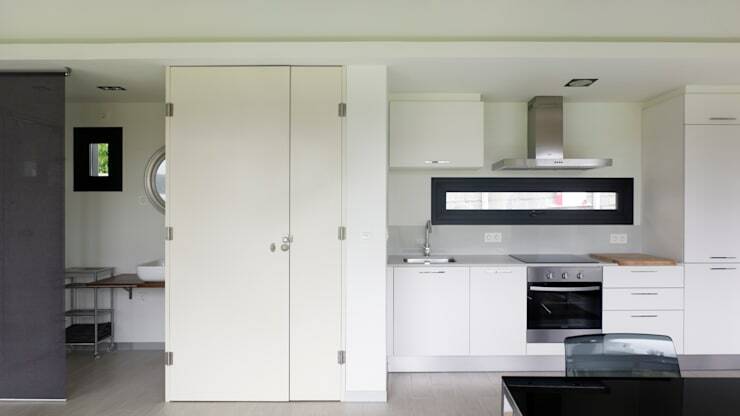 The fittings are also generally white or neutrally coloured so there is a sense of continuity between the separate living zones such as the kitchen and the bathroom as seen here. The awnings extend to create some shade for the simple outdoor area. They also shield the home from direct sunlight and help keep the home cool in summer. Note the fireplace that separates the bedroom from the living area. Also, from this angle, we also have a glimpse of the interesting recessed light that runs the entire length of the home. It is subtle, warm and serves to unify the home as a whole. For more natural home inspiration, have a look at The dreamy timber home you'll wish was yours. What do you think of the minimal aesthetic in this home?